[S676] Image of the 1901 Census for Streatham, London: RG13 Piece 475 Folio 85 Page 44. [S2] GRO Indexes to Births. "GRO Online Index: 1854/Q1 PASK, Arthur BOREHAM Risbridge 4a 344." [S458] 1871 Census for Kedington, Suffolk. Full details upon request: PRO Ref: RG10 Piece 1711 Folio 92 Page 29. [S1985] Image of the 1881 Census for Kedington, Suffolk: RG11 Piece 1821 Folio 82 Page 41. [S421] Transcript of the Baptism Registers of Kedington, Suffolk, compiled by Edwin Prockter. "15.03.1857 Arthur to George & Ann PASKE - Labourer." [S521] Image of the 1861 Census for Kedington, Suffolk: RG9 Piece 1124 Folio 131 Page 15 from Archive CD Books. [S4072] Image of the 1871 Census for Kedington, Suffolk: RG10 Piece 1711 Folio 92 Page 29. [S422] Transcript of the Marriage Registers of Kedington, Suffolk, compiled by Edwin Prockter. "17.11.1877 John PASK 28 to Edney TALBOT 30. Fathers:George PASK & George TALBOT. Wits:Arthur PASK & Eliza ?" [S4354] Transcript of the marriage of John Pask and Edney Talbot, 17 November 1877. Kindly provided by Sandra Stevens - GOONS Marriage Challenge. [S3] GRO Indexes to Marriages. "1877/Q4 PASK, John = TALBOT, Edney Risbridge 4a 830." [S3] GRO Indexes to Marriages. "1890/Q4 PASKE, Arthur Risbridge 4a 1159." [S1983] Image of the 1891 Census for Kedington, Suffolk: RG12 Piece 1436 Folio 55 Page 22. Indexed incorrectly under the name of PASH. [S696] Image of the 1901 Census for Kedington, Suffolk: RG13 Piece 1737 Folio 55 Page 9. Indexed incorrectly under the name of PARK. [S4373] Transcript of the marriage of Albert Barber and Alice Pask, 17 April 1911. Kindly provided by Sandra Stevens - GOONS Marriage Challenge. [S417] Website Ancestry Civil Registration - Marriages. [S3] GRO Indexes to Marriages. "1909/Q4 BALDRY, George William = CORNELL, Jessie Risbridge 4a 1669." [S3] GRO Indexes to Marriages. "1911/Q2 PASK, Alice = BARBER, Albert Risbridge 4a 1637." [S2] GRO Indexes to Births. "1891/Q4 PASK, Alice Risbridge 4a 680." [S2] GRO Indexes to Births. "1917/Q3 BARBER, Muriel E PASK Risbridge." [S2] GRO Indexes to Births. "1895/Q4 PASK, George William Risbridge 4a 697." [S421] Transcript of the Baptism Registers of Kedington, Suffolk, compiled by Edwin Prockter. "10.11.1895 George William to Arthur & Mary Ann PASKE - Labourer." [S422] Transcript of the Marriage Registers of Kedington, Suffolk, compiled by Edwin Prockter. "12.04.1844 George PASKE to Ann BOREHAM. Fathers:Henry PASKE & Thomas BOREHAM." [S3] GRO Indexes to Marriages. "1844/Q2 PASKE, George Risbridge 12 589." [S4069] Transcript of the marriage of George Paske and Ann Boreham, 12 April 1844. Kindly provided by Sandra Stevens - GOONS Marriage Challenge. [S1448] 1851 Index, for Kedington, Suffolk: HO107 Piece 1787 Folio 188. [S423] Transcript of the Burial Registers of Kedington, Suffolk, compiled by Edwin Prockter. "01.04.1878 George PASK, age 59." [S27] Website National Burial Index (NBI) @ FindMyPast (www.findmypast.co.uk: ) 1 Apr 1878 George PASK 59 Suffolk Kedington, St Peter & St Paul. [S4] GRO Indexes to Deaths. "1897/Q3 PASK, Ann Risbridge 4a 459 age 75." [S423] Transcript of the Burial Registers of Kedington, Suffolk, compiled by Edwin Prockter. "28.07.1897 Ann PASK, age 75." [S27] Website National Burial Index (NBI) @ FindMyPast (www.findmypast.co.uk: ) 28 Jul 1897 Ann PASK 75 Suffolk Kedington, St Peter & St Paul. [S2484] Website Pask-Paske Blog (http://pask-paske.blogspot.com/: ) http://pask-paske.blogspot.com/2007/03/…. [S422] Transcript of the Marriage Registers of Kedington, Suffolk, compiled by Edwin Prockter. "25.12.1863 David PASKE 19 to Eliza LING. Fathers: George PASKE & Henry LING - both Labourers. Wits:Frederick PASKE & Alice BOWYER." [S2] GRO Indexes to Births. "GRO Online Index: 1846/Q2 PASK, Male BOREHAM Risbridge 12 423." [S421] Transcript of the Baptism Registers of Kedington, Suffolk, compiled by Edwin Prockter. "29.10.1848 Phoebe to George & Ann PASKE - Labourer." [S184] 1881 Census for Kedington, Suffolk. Full details upon request: FHL Film 1341444 PRO Ref RG11 Piece 1822 Folio 56 Page 30. [S6] Teresa & Stuart Pask's Guesses, Theories and Speculations: In the 1881 Census he was living with his grandmother Ann PASK. Also in 1881 Caroline PASK nee BOWYER was married to Joseph PASK, and her son was called Joseph BOWYER. [S3] GRO Indexes to Marriages. "1854/Q4 Risbridge 4a 757." [S6] Teresa & Stuart Pask's Guesses, Theories and Speculations: Assumption based on marriages, deaths and FreeBMD cross-reference. [S4] GRO Indexes to Deaths. "1876/Q3 Risbridge 4a 261 age 41." [S643] Image of the 1871 Census for Kedington, Suffolk: RG10 Piece 1711 Folio 80 Page 1. [S422] Transcript of the Marriage Registers of Kedington, Suffolk, compiled by Edwin Prockter. "21.10.1854 Joseph PASKE to Caroline BOWYER, both full age. Fathers: George PASKE & Thomas BOWYER. Wits: Walter PHILLIPS & Susan BOWYER." [S4091] Transcript of the marriage of David Paske and Sophy Callow, 18 March 1854. Kindly provided by Sandra Stevens - GOONS Marriage Challenge. [S6] Teresa & Stuart Pask's Guesses, Theories and Speculations: Based on the 1891 census, when Elizabeth FITCH nee PASK is referred to as Mary BOWYER's granddaughter. [S3] GRO Indexes to Marriages. "1854/Q4 PASKE, Joseph Risbridge 4a 757." [S4092] Transcript of the marriage of Joseph Paske and Caroline Bowyer, 21 October 1854. Kindly provided by Sandra Stevens - GOONS Marriage Challenge. [S646] Image of the 1861 Census for Kedington, Suffolk: RG9 Piece 1124 Folio 127 Page 8 from Archive CD Books. 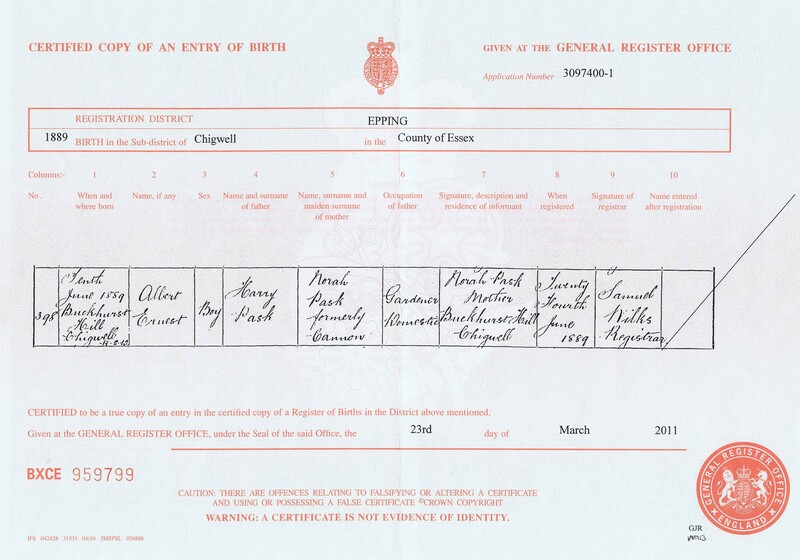 [S4011] Copy of the birth certificate of Harry Pask, born 8 September 1868. [S2] GRO Indexes to Births. "1868/Q4 PASK, Harry Risbridge 4a 416." [S4] GRO Indexes to Deaths. "1876/Q3 PASK, Caroline Risbridge 4a 261 age 41." [S423] Transcript of the Burial Registers of Kedington, Suffolk, compiled by Edwin Prockter. "01.08.1876 Caroline PASK, age 41." [S2669] 1881 Census for Kedington, Suffolk (online image). [S421] Transcript of the Baptism Registers of Kedington, Suffolk, compiled by Edwin Prockter. "09.09.1855 William to Joseph & Caroline PASKE." [S421] Transcript of the Baptism Registers of Kedington, Suffolk, compiled by Edwin Prockter. "01.01.1857 Frederick to Joseph & Caroline PASKE." [S421] Transcript of the Baptism Registers of Kedington, Suffolk, compiled by Edwin Prockter. "11.07.1858 John to Joseph & Caroline PASKE." [S421] Transcript of the Baptism Registers of Kedington, Suffolk, compiled by Edwin Prockter. 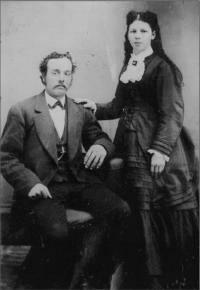 "03.07.1859 Walter to Joseph & Caroline PASKE." [S421] Transcript of the Baptism Registers of Kedington, Suffolk, compiled by Edwin Prockter. "06.07.1862 Thomas to Joseph & Caroline PASKE." [S421] Transcript of the Baptism Registers of Kedington, Suffolk, compiled by Edwin Prockter. "08.06.1879 Martha l4yrs to Joseph & Caroline PASKE." [S421] Transcript of the Baptism Registers of Kedington, Suffolk, compiled by Edwin Prockter. "22.07.1866 Elizabeth to Joseph & Caroline PASKE." [S2] GRO Indexes to Births. "GRO Online Index: 1871/Q2 PASK, Samuel BOWYER Risbridge 4a 421." [S421] Transcript of the Baptism Registers of Kedington, Suffolk, compiled by Edwin Prockter. "09.01.1873 Jane to Joseph & Caroline PASKE." [S421] Transcript of the Baptism Registers of Kedington, Suffolk, compiled by Edwin Prockter. "09.09.1855 Joseph to Joseph & Caroline PASKE - Labourer." [S2] GRO Indexes to Births. "1860/Q4 PASK, Emily Risbridge 4a 341." [S421] Transcript of the Baptism Registers of Kedington, Suffolk, compiled by Edwin Prockter. "13.10.1861 Emily to Joseph & Caroline PASKE." [S2670] Image of the 1891 Census for Lombard Street, Finchingfield, Essex: RG12 Piece 1421 Folio 18 Page 3. Indexed incorrectly under the name of PARK. [S3617] Image of the 1911 Census for 3 Gloucester Terrace, Cambridge, Cambridgeshire: RG14 Piece 9127 Schedule 103. [S421] Transcript of the Baptism Registers of Kedington, Suffolk, compiled by Edwin Prockter. "14.03.1880 Alice to Emily PASKE - Spinster." 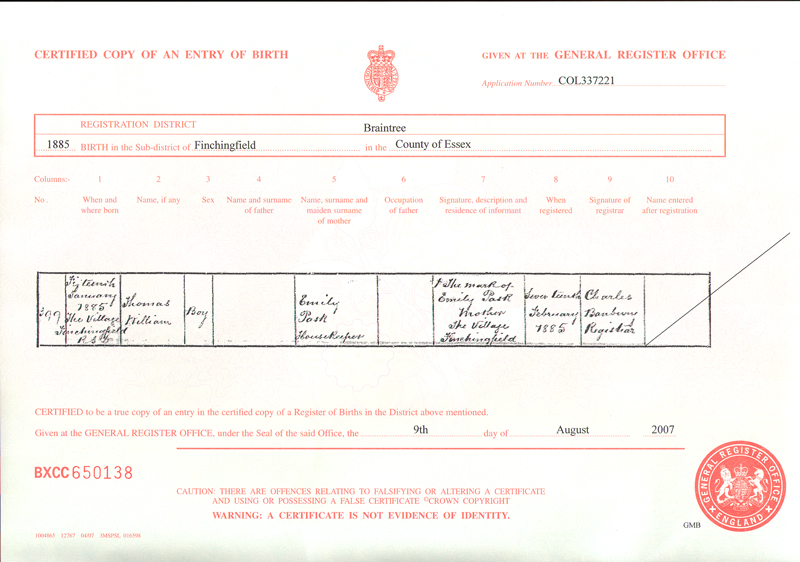 [S2693] Copy of the birth certificate of Thomas William Pask, born 15 January 1885. [S421] Transcript of the Baptism Registers of Kedington, Suffolk, compiled by Edwin Prockter. "30.06.1833 Joseph to George & Elizabeth PASKE - Labourer." George PASKE & Thomas BOWYER. Wits: Walter PHILLIPS & Susan BOWYER." [S1454] Image of the 1841 Census for Kedington, Suffolk: HO107 Piece 1033 Book 16 Folio 7-8 from Archive CD Books. [S1446] Image of the 1851 for Hill Street, Kedington, Suffolk: HO107 Piece 1787 Folio 176 Page 15. Indexed incorrectly under the name of PASKO. [S4] GRO Indexes to Deaths. "1914/Q4 PASK, Joseph Cambridge 3b 552 age 81." [S2151] Transcript of the marriage of Thomas Pask and Eliza Martha Mercer, 6 April 1885. Kindly provided by Peter Copsey - GOONS Marriage Challenge. [S421] Transcript of the Baptism Registers of Kedington, Suffolk, compiled by Edwin Prockter. "08.06.1879 Martha 14yrs to Joseph & Caroline PASKE." 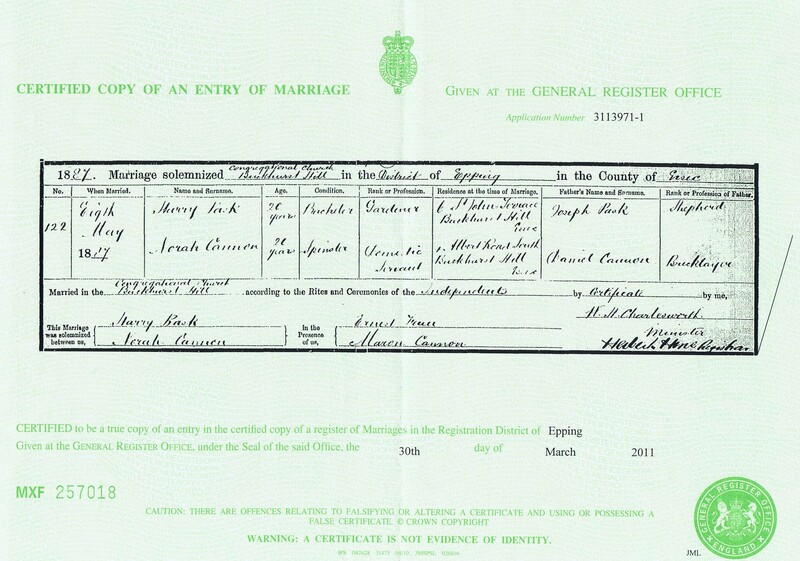 [S4004] Copy of the marriage certificate of Harry Pask and Norah Cannon, 8 May 1887. [S2] GRO Indexes to Births. "1866/Q1 PASK, Frank Risbridge 4a 419." [S3] GRO Indexes to Marriages. "1888/Q2 WHARTON, Elizabeth Malton 9d 542." [S3] GRO Indexes to Marriages. "1888/Q2 PASK, Charles Malton 9d 542." [S3332] Image of the 1891 Census for Hutton Hill Cottage, Huttons Ambo, Yorkshire: RG12 Piece 3973 Folio 14 Page 5. Indexed incorrectly under the name of PACK. [S3333] Image of the 1901 Census for 2 Tottington Road, Elton, Lancashire: RG13 Piece 3637 Folio 20 Page 31. [S4] GRO Indexes to Deaths. "1905/Q2 PASK, Elizabeth Annie Malton 9d 259 age 36." [S3] GRO Indexes to Marriages. "1905/Q3 PASK, Frank = HIGGINBOTTOM, Ann Bury 8c 1012." [S4289] Image of the 1911 Census for 19 Parkhills Street, Bury, Lancashire: RG14 Piece 23514 Schedule 182. [S3] GRO Indexes to Marriages. "1914/Q4 PASK, Charles = UNSWORTH, Isabella Bury 8c 940." [S4] GRO Indexes to Deaths. "1928/Q4 PASK, Frank Bury 8c 513 age 62." [S4] GRO Indexes to Deaths. "1969/Q3 PASK, Isabella 29 JY 1888 Heywood 10c 887." [S4999] Website UK Government Probate Search Service: PASK Isabella of 6 Water St Radcliffe Lancs died 15 September 1969 Probate Manchester 10 October. £617. [S2] GRO Indexes to Births. "GRO Online Index: 1898/Q4 PASK, Charles William WHARTON Bury 8c 618." [S9] Additional information available upon request. 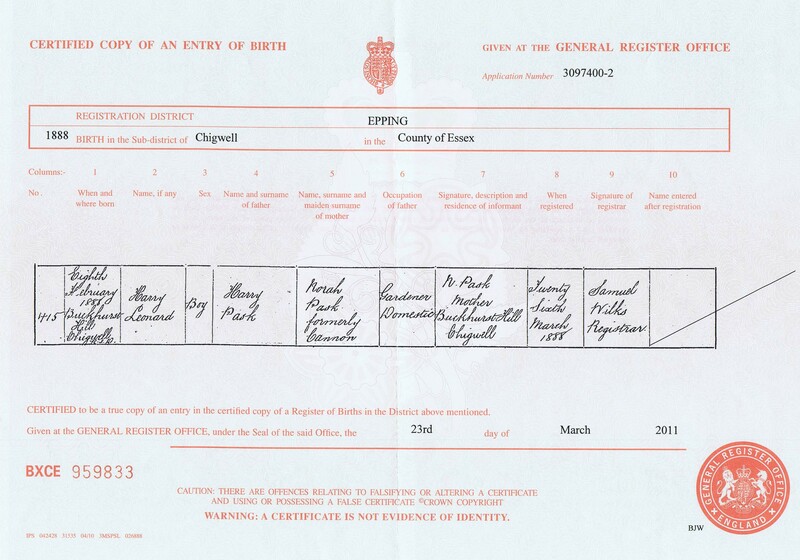 [S3995] Copy of the birth certificate of Harry Leonard Pask, born 8 February 1888. [S421] Transcript of the Baptism Registers of Kedington, Suffolk, compiled by Edwin Prockter. "14.03.1880 Jacob 11yrs to Joseph & Caroline PASKE - Labourer." [S3996] Copy of the birth certificate of Albert Ernest, born 10 June 1889. [S2] GRO Indexes to Births. "1873/Q4 PASK, Susanna Risbridge 4a 420." [S421] Transcript of the Baptism Registers of Kedington, Suffolk, compiled by Edwin Prockter. "06.06.1879 Susanna to Joseph & Caroline PASKE." [S2] GRO Indexes to Births. "1878/Q3 PASK, Alice Risbridge 4a 498." [S208] Transcript of the 1901 . "PRO Ref RG13 Piece 1527 Folio 163 Page 4." [S3] GRO Indexes to Marriages. "1904/Q4 PASK, Alice Cambridge 3b 1099." [S417] Website Ancestry Civil Registration - Marriages: "1904/Q4 PASK, Alice Cambridge 3b 1099 = Frederick MALLTON, or James William PICKETT." [S1779] Image of the 1901 Census for 1 School Barn Cottages, Pentlow, Essex: RG13 Piece 1746 Folio 7 Page 6. [S1716] Transcript of the marriage of George Braybook and Emily Pask, 14 March 1885. Kindly provided by Sandra Stevens - GOONS Marriage Challenge. [S1778] Image of the 1891 Census for 5 Rectory Street, Pentlow, Essex: RG12 Piece 1439 Folio 91 Page 6. [S3] GRO Indexes to Marriages. "1885/Q1 PASK, Emily = BRAYBROOK, George Thingoe 4a 665." [S2] GRO Indexes to Births. "1884/Q3 PASKE, Ernest George Thingoe 4a 651." [S2749] Image of the 1891 Census for 3 Albert Road South, Chigwell, Essex: RG12 Piece 1361 Folio 121 Page 18. [S4] GRO Indexes to Deaths. "1900/Q2 Epping 4a 209 age 37." [S3] GRO Indexes to Marriages. "1883/Q1 PASK, Frederick Epping 3a 190." [S3] GRO Indexes to Marriages. 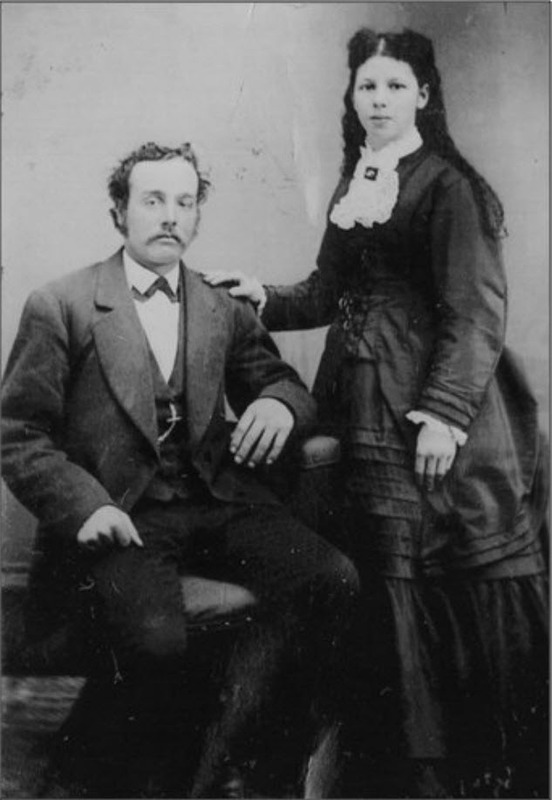 "1883/Q1 WARREN, Elizabeth Annie Epping 3a 190." [S3956] Copy of the birth certificate of Albert Ernest Pask, born 17 September 1888. [S2] GRO Indexes to Births. "1889/Q2 PASK, Albert Ernest Epping 4a 314." [S2] GRO Indexes to Births. "1900/Q1 PASK, Leonard Victor Epping 4a 493." [S4006] Image of the 1901 Census for Epping Union, Epping, Essex: RG13 Piece 1640 Folio 73 Page 3. [S4012] Copy of the birth certificate of Leonard Victor Pask, born 24 November 1899. [S4] GRO Indexes to Deaths. "1900/Q2 PASK, Elizabeth Annie Epping 4a 209 age 37." [S4026] E-mail from Terence R. Pask to Stuart & Teresa Pask dated 5 August 2011. [S3956] Copy of the birth certificate of Albert Ernest Pask, born 17 September 1888 "1888/Q4 PASK, Bertie Frank Epping 4a 294." [S4026] E-mail from Terence R. Pask to Stuart & Teresa Pask dated 4 July 2011. Mrs. Mary PASK, 84, widow of the late Henry PASK, died at the home of her daughter, Mrs. Benjamin HILL, Townline Road, Millville, at ten o'clock last night. She had been in ill health for sometime. Born in England, Mrs. PASK came to the United States when she was 18 years of age and has been a resident of Millville since that time. She had been a member of the Millville Methodist Church for the past 45 years and for the greater part of that time an active worker in the church and church societies. She was a member of Ladies' Aid Society. Surviving are two daughters, Mrs. HILL, and Mrs. Floyd TINKHAM of Akron; four sons, Lloyd amd Frank of Oakfield and George and Gaily PASK of Millville; 32 grandchildren, 39 great grandchildren; and two brothers, Harry MARSHALL of Lyndonville and William MARSHALL of Albion. [S376] E-mail from Tom and Claudia DuBois to Stuart & Teresa Pask dated 29 March 2004. [S4266] Website Lincs to the Past (http://www.lincstothepast.com: ) Baptism: Feb 3 1856, Mary daughter of George & Mary MARSHALL of Scotherne, a Labourer. Born 31 Dec 1855. [S391] Website Millville Cemetery Shelby, Orleans County (http://www.rootsweb.com/~nyorlean/millvop.htm: ) Wife of Henry, dau of George MASHALL & Mary CAMPBELL. [S2] GRO Indexes to Births. "1856/Q1 MARSHALL, Mary Lincoln 7a 466." [S3336] Website Find A Grave: Find A Grave Memorial# 111013026. Baptism: Feb 3 1856, Mary daughter of George & Mary MARSHALL of Scotherne, a Labourer. Born 31 Dec 1855. [S4335] Image of the 1861 Census for Skelton House, Nettleham, Lincolnshire: RG9 Piece 2357 Folio 27 Page 18. [S414] Website Transcribers Guild (http://www.immigrantships.net: ) RMS Abyssinia Liverpool, England & Queenstown, Ireland to New York 22 April 1872. [S390] Website Orleans, New York State Marriages (http://www.rootsweb.com/~nyorlean/marrp.htm) : MARRIAGES - "PA - PE." [S391] Website Millville Cemetery Shelby, Orleans County (http://www.rootsweb.com/~nyorlean/millvop.htm: ) Husband of Mary MARSHALL (born in England). [S3336] Website Find A Grave: Find A Grave Memorial# 111012419.